Regina London - UK fashion and Life Style blog: Happy New year! Happy new year my beautiful friends!! I hope you all had a lovely Christmas and brought in the new year in style. 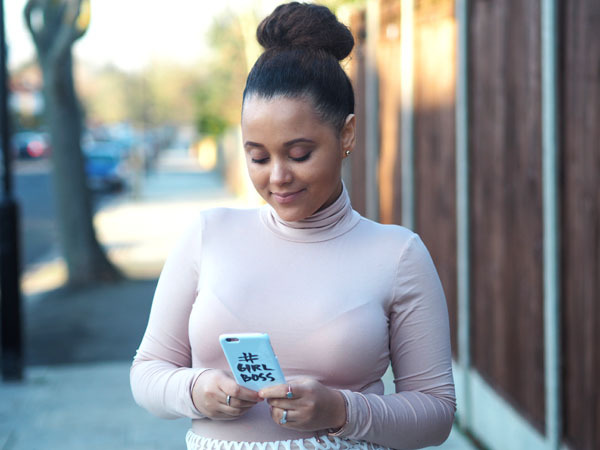 I have so many goals this year, this cute phone case from GoCustomized sums up my motto for this year, it's all about making #GirlBoss moves! who's with me?! December was quite mild but now the temperature has officially dropped, I can't deal with how cold it is. I love this turtle neck from Missguided, I was surprised by how thick it was, their basic's can be quite thin at times. This beautiful skirt was on sale, its so pretty, It would be perfect dressed up for a Christening or baby shower.